Summer is almost over, but it’s never too early to plan for the next one. What will your plans look like? 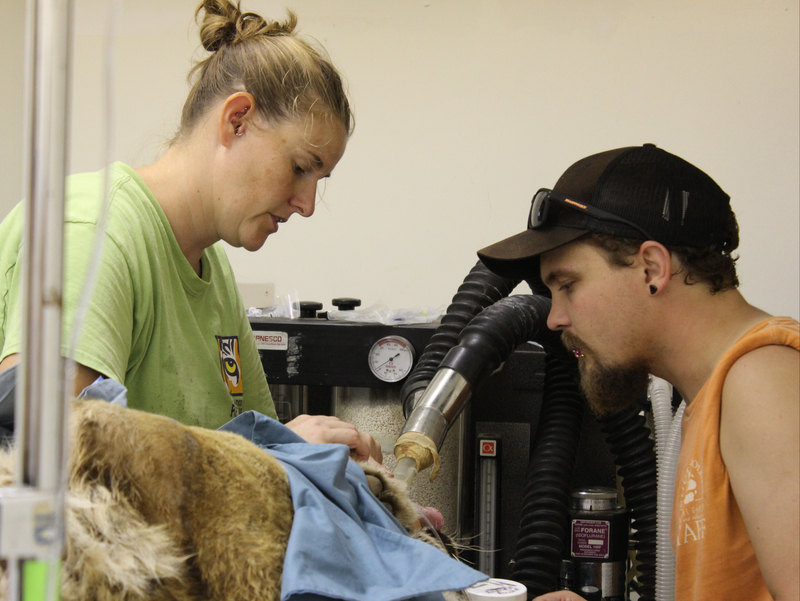 Will you learn hands-on how to take care of big cats? Will you discuss in detail what issues they face both in captivity and in the wild? How about animal enrichment? All of this and more is possible with a summer animal care internship at Carolina Tiger Rescue. The application period is now open! The 2018 summer internship will run from May 21 to Aug. 10 during the hours of 8:30 a.m. to 5 p.m., Monday through Friday. Interns will be selected in January and must be responsible for their own housing and transportation for the entire twelve-week session. 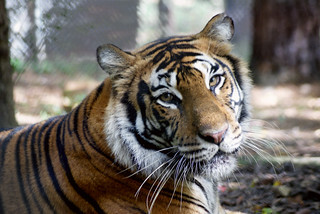 Upon completion of this unmatched educational opportunity at Carolina Tiger, interns will not only have gained experience caring for animals, they will also be in a position to discuss issues ranging from animals in entertainment and basic vet care to the pitfalls of private ownership. At this time, Carolina Tiger is, unfortunately, unable to offer a stipend. Senior keeper Lauren gives intern Josh a quick lesson while Kaela Tiger is sedated for a surgery. 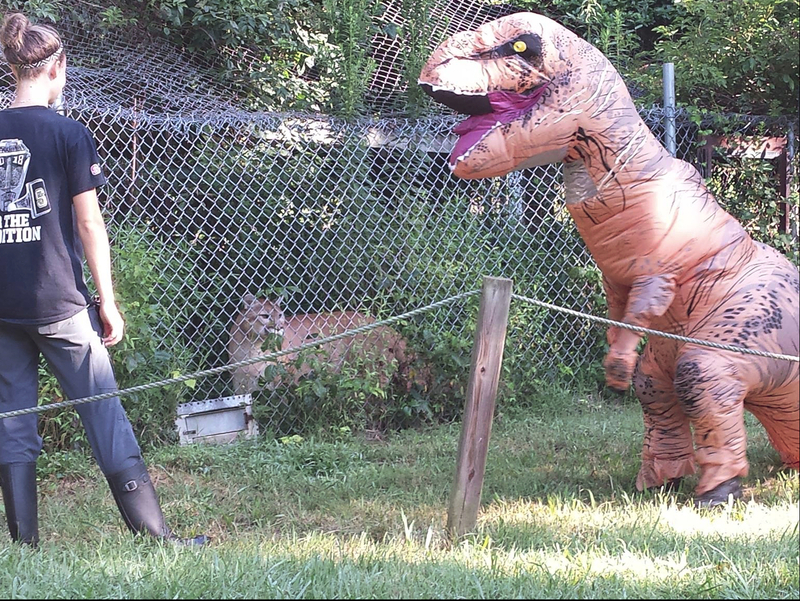 Our interns help with daily enrichment, from paper mache boxes to T-Rex costumes! 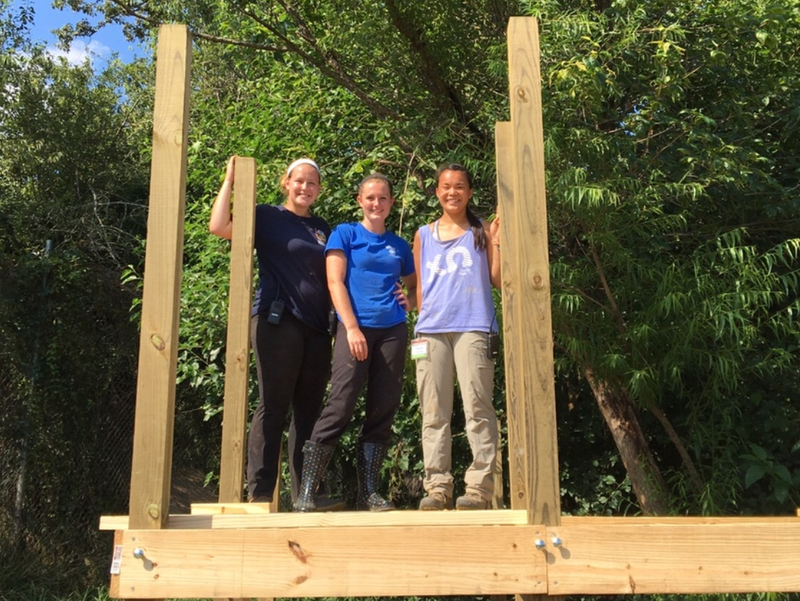 Interns help build parts of enclosures. Each intern will have an individual summer project. 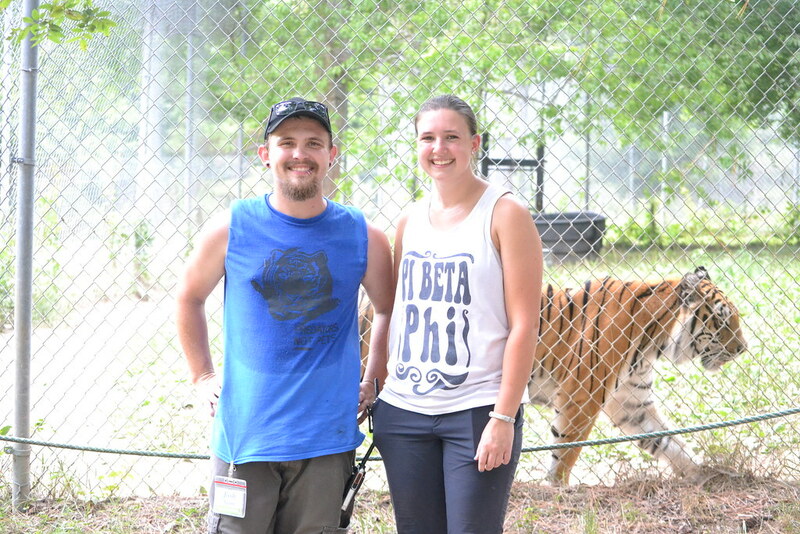 Interns will be caring for residents of Carolina Tiger for twelve weeks. That means learning to feed, clean enclosures, administer medicine and everything else that comes along during a daily — and sometimes unpredictable — routine. Our interns have been called to help during vet procedures, can handle food prep and get weekly lessons from the keepers. Students and pre-professionals looking to gain experience in the animal care realm can greatly benefit from this internship. 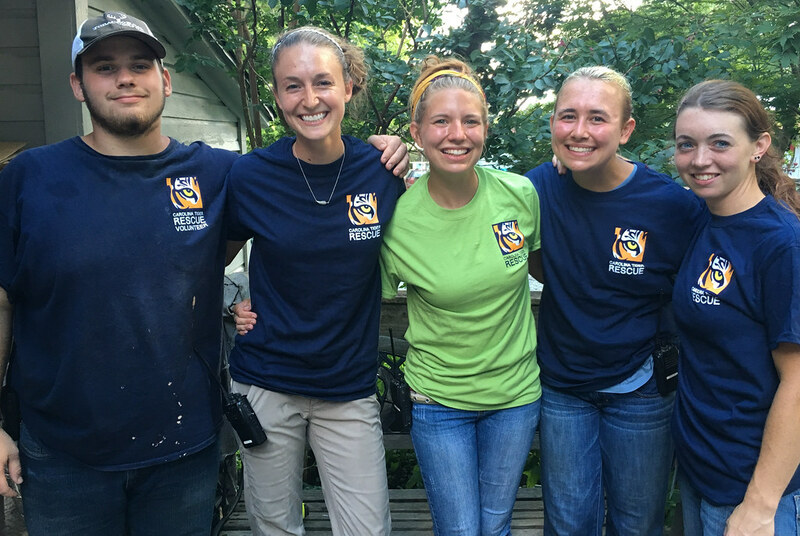 While a facet of it includes a classroom-like setting for lectures to learn about species history, vet care and the issues wild cats in captivity and in the wild face, interns are out working in the sanctuary for a majority of their time. No one day is the same. Interns are going to help build platforms, a project of their choice, and more. But what’s intangible are the relationships they’ll build with each other and with Carolina Tiger’s vast, supportive and dedicated community. Our interns have stayed on as volunteers after their session closed, and some have left with everlasting friendships and connections. a cover letter and two professional references. Come see what all the roar is about and apply. We hope to see you next summer!